" QUALITY IS OUR PRIME MOTTO "
Our quality administrators make sure that the raw materials used in the making of the product are procured from reliable sources. Stringent quality checks are conducted during the production process till the last stage. When the product is ready to be dispatched, testing is done to on different parameters that include strength and durability. All these efforts results in defect-free product. 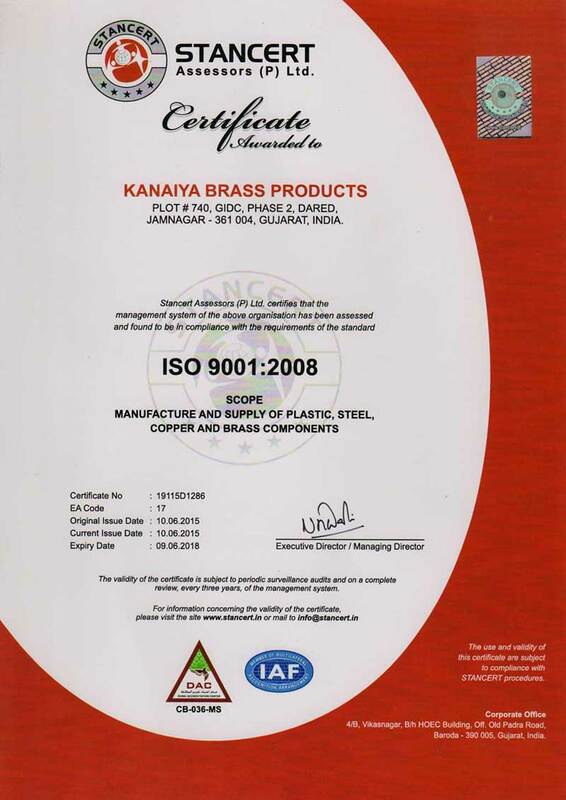 3) A wide range of products in Brass, Steel, Copper & Plastic with high accuracy. 4) Placing orders through E-Mail or by phone, quick and timely deliveries with the best quality. 7) 100% Visual Inspection to ensure 100% visual defect free products.
" We Deliver What We Promise Always "